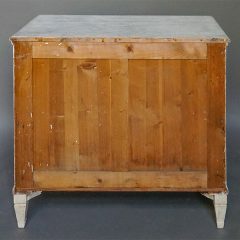 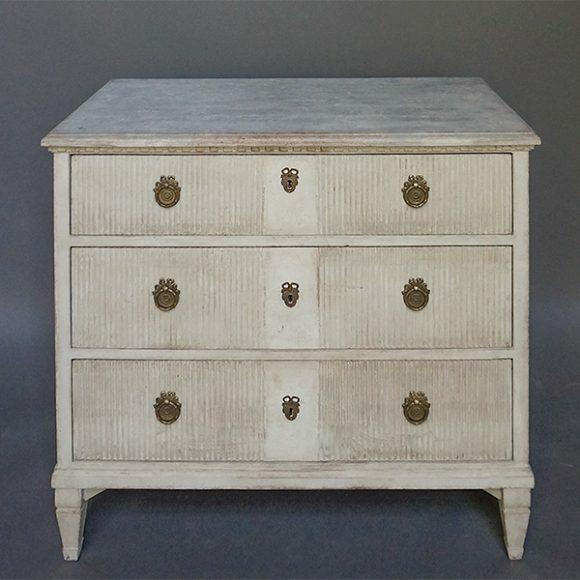 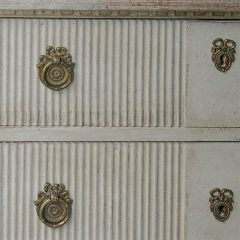 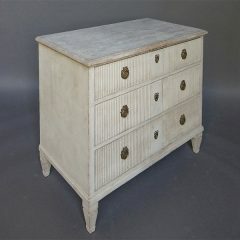 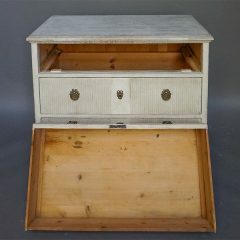 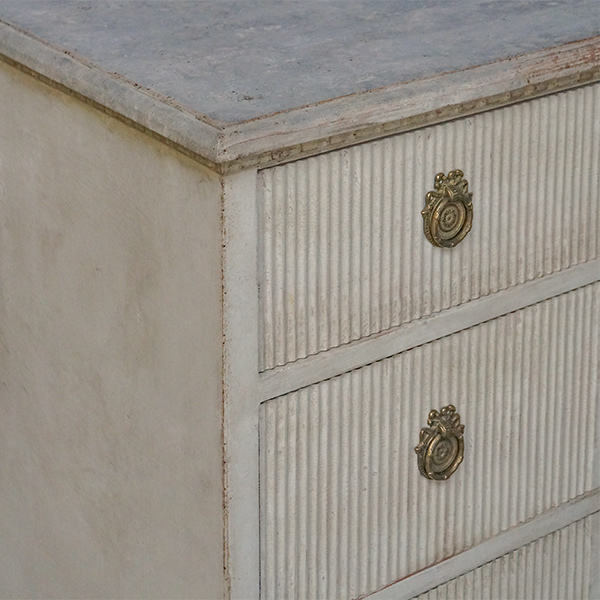 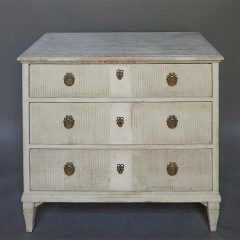 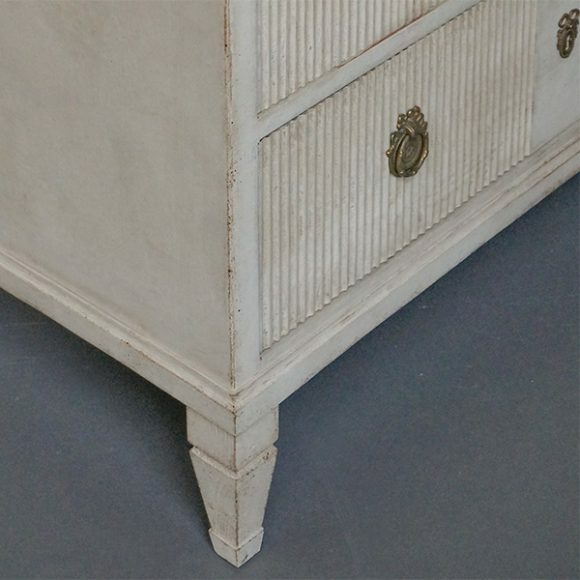 Swedish three-drawer chest of the Gustavian style, circa 1890. Dentil molding under the shaped top, and panels of reeding on each drawer front. Tapering square feet.